You can find his week's post (a few days earlier than normal) in the form of a guest post on the blog Modern Mormon Men. You can check it out here. It's a continuation of last week's post on the Grammy awards, this time focusing on the Las Vegas/Utah band Imagine Dragons which performed to great acclaim on the Grammys with rapper Kendrick Lamar. Enjoy! 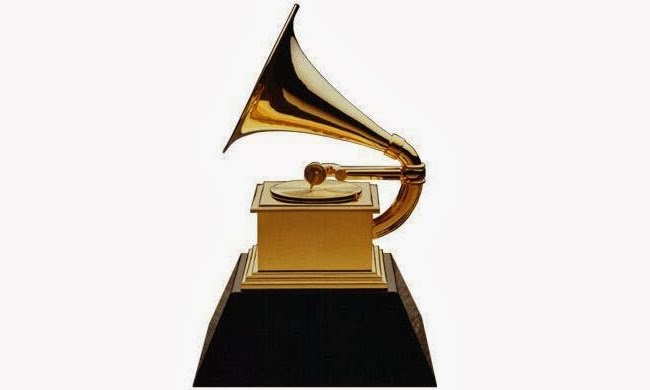 Grammys 2014: Art or Artifice? I wonder if you can play those itty-bitty gold records? Last night was was the Grammys. And once again, as always, tradition triumphs over innovation (Herb Alpert and Black Sabbath? Really? ), though upstart 17-year-old Lorde did walk out with a couple. Other big winners included Daft Punk*, Macklemore & Ryan Lewis, Paul McCartney, and Maria Schneider. You can see here who won awards, only a paltry few of which were actually announced during the 4-hour program. And here's five other things the people at the Guardian learned during the awards (I guess the Guardian has started using listicles, too). Since the awards show wasn't really about handing out awards, what was it about? It was mainly about the music industry advertising itself, with long breaks for commercials. While there were some interesting acts, mostly, I'm annoyed that most of what I saw last night was about looks, spectacle, and stardom instead of music. These are not entertainment awards, but music awards, right? Now, I know that live music (which was on stage last night) is different than recorded music (which is the awards were about), but it's all still music. Just to be clear, I'm okay with spectacle and I'm okay with stardom. But when spectacle and stardom take precedent over music on a music awards show, I think there's a problem. When it's hard to tell the difference between the "Pepsi Half-Time Show" commercial and the real show, there's a problem (I admit that comparison was a bit hyperbolic). For example, I think that both Pink's aerial gymnastics and her singing are great. But does she have to pretend to do both at the same time? Couldn't Pink have done the aerial gymnastics while someone else have sung, and then sung herself afterward? And then there's Katy Perry. Imagine Dragons/Kendrick Lamar - while there was indeed a lot of spectacle in this performance, it was possibly the most musically overpowering of the night. From the expressions on the audience, I think it sounded even better in person. There was a lot of difficult choreographed drumming that also added to the music. The artists worked together wholeheartedly to make their seemingly random pairing work, and I thought the Holi-esque colored powder (link) was kind of cool. Daft Punk/Stevie Wonder/Pherrell Williams - I'm not sure what I can say, except that everyone up there looked life a musician making music and it sounded great. Who needs flashing lights when you can make climaxes with your music? Lorde - While her vocal production was a little forced (perhaps trying to keep up with the over-the-top-ness of the night), I appreciated that they didn't just stick to the recording, but took some risks in the arrangement that I think proved this song deserved a songwriting award, not just a recording award. Kacey Musgraves - I'm not sure if the ridiculous lighted costumes and neon cacti were Kacey's idea or not, but the performance was good enough that I could ignore them. Carole King/Sara Bareilles - Just two women, two pianos, and some expressive singing, and one woman really excited to be singing with the other one. What did you think of the Grammys acts? P.S. That whole fan video thing was weird. Do you think they paid the fans to use their fan videos? Or just told them they wouldn't sue? *You gotta hand it to two guys who show up in costume every time they go out. 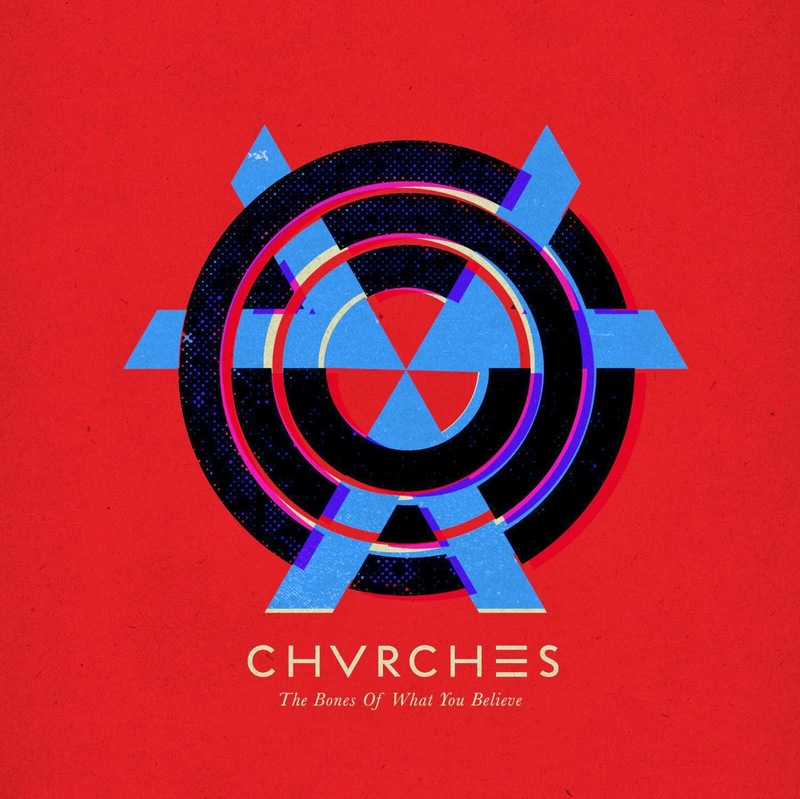 The Bones of What You Believe, the first full-length album by Scottish trio Chvrches, had a lot of buzz when it came out in September of 2013, but didn't really make anyone's year-end list. Maybe that’s because a lot of critics working now grew up in the 70s and were affronted by the synth-pop movement. I, on the other hand, am a child of the 80s and have no such qualms. Or maybe for some people, the songs just don’t hold up as well on repeated listenings. I found the opposite—they more I listened to the album, the more I liked it. There's a lot of variation between songs, and most of the songs are carefully constructed (mostly by ingenious variation instead of unnecessary repetition) so that I hardly lose interest. Granted, there are a few songs of lower quality—mostly the few where Lauren Mayberry (the female of the trio) is not singing lead. Mayberry's voice is unique, clear, and perhaps childlike voice, high in contrast to most pop divas, is front and center for most of the album, and should be. Her voice has enough character that sometimes the added electronic vocal enhancements sometimes seem unnecessary, though understandable given the genre. Despite the group's manipulations and sonic palate comprised entirely of synth effects, I hesitate to call this electronic music, because these effects aren't employed like most electronic music, e.g. to be mixed by D.J.s on a dance floor. While the electronics and production is definitely a focus, this music is song-based, telling short, memorable stories; the songs are tightly woven and compact, at 3-4 minutes apiece. Not that it isn't danceable, but dance is not the main point. About those stories: it’s interesting that the songs with vitriolic lyrics, of which there are many in this album, don’t sound very different in character from the uplifting ones. This is not a criticism, just a curiosity—I'm not quite sure what it means. Maybe these vitriolic songs are supposed to be uplifting in an empowering way? Or maybe the minor mode, which unconsciously I'm expecting for signaling anger, is just absent from their musical vocabulary. Actually, the vitriol might be more interesting for me than songs like "Under the Tide," which is more like a self-help book in contrast with the intriguing fiction shorts of "We Sink" and "Gun". One thing I've taken note of is how the melodies are constructed. The songs' staccato, repetitive melodies generally match the textures, I think. For example, in "The Mother We Share," which is pretty typical of the album as a whole, the verse's melody is made up of a string of short phrases of staccato notes, mirroring the staccato vocal-based bursts that we hear at the song's start. These phrases also sit on of top of repetitive, electronic textures, which are not about swaths of sounds, but fast-moving, repeating textures. Even the chorus, which has a more sustained melody, does not have long notes. But I don't want to leave the impression that all the songs are the same. There's plenty of variation in textures, even within songs. The group has learned to change melodies, textures, rhythms, layers, etc., sometimes gradually, to keep interest. The one critique that I have: there's more distortion than I would like. I realize that this is a personal taste for clearness over big sound, and might also be related to my speakers. What did you think of the album? Would anyone prefer that I came up with rating scale for reviews, like 5 stars, thumb up or down, etc.? Lorde, Pure Heroine: "People are talking"
New Zealand native Ella Yelich O'Connor, a.k.a Lorde, has only recently turned 17, but has already made a big splash on the international music scenic, with her single "Royals" and her first full-length album Pure Heroine. When a teen gains musical popularity, I sometimes wonder if their success is manufactured by the industry (pretty much any Mouseketeer* or American Idol) or they are the real deal (Stevie Wonder, Taylor Swift). From what I've seen, Lorde is the real deal, meaning it was her talent, both in performing and creativity, that really led to her success (with the help of some savvy parents and a label, of course). She also seems to be more grounded than any large-ear-hatted teen. And from what we've seen from other teen music stars, she'll need that grounding if she wants to stay sane. A lot has been said about the album's lyrical stand again consumerism, keeping up appearances, and perpetual party pop, so I won't dwell too much on those aspects here. Suffice to say that the album is meant to be countercultural. My favorite line (from "Team") to that effect is "I'm kind of over getting told to throw my hands up in the air". This blatant critique of the simplistic and shallow lyrics of much pop fare is refreshing, especially in this music's popularity. In order to create the teen countercultural anthem rally, though, the album resorts to a fair amount of first-person plural talking at the audience, which is okay if the audience already agrees with the message presented. But this approach can also have the effect of sounding just like a pampered teenager who thinks they have it all figured out. This might be grating to some, though probably cool to other teens. Additionally, I wouldn't say the meaning of the lyrics are always crystal clear, which can be a problem for anthems (though maybe not counterculture). But I think that, like most cases, the album succeeds because the music succeeds. The melodies are catchy, but not too repetitive. Interestingly, Lorde communicates the musical form mostly by changing the character of the melodies instead of the instrumentation or something else—and not just altering the melodic line, but also the rhythmic content. The extent this melodic character shifting is done is somewhat unusual. Choruses also work because the melodies contrast with each other, even if they aren't always big and full pop choruses. 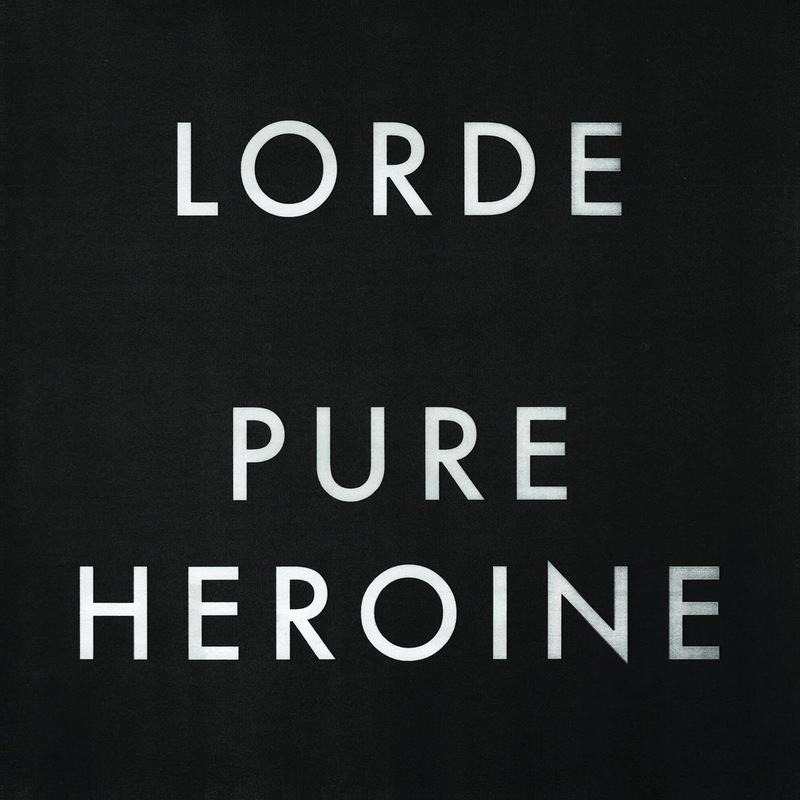 Turning to musical texture, by which I mean the layers of the music, Pure Heroine is sparse. I don't think they spent a fortune on production, and they didn't need to. The sparse texture serves to highlight Lorde's very mature-sounding voice. For example, "Royals" is basically just a spare bass beat, snaps, and Lorde's voice (sometimes thickly overdubbed for contrast). Most of the album just highlights the vocal melody, with not much else. When the sparsity of "Royals" is paired with other top 40 fare, it it stand out starkly amidst the complex multi-instrumental accompaniment and backup singers. I'm usually of the opinion "the thicker texture, the better," but I think Lorde's minimal approach works. Of course, that is the lyrical point of "Royals", right? This music conveys the lyrical content: "We don't need all that extra stuff in our lives. We're just fine with the stuff we have, with maybe some imagination to fill the gaps." Lorde's vocals aren't flashy, either, but still full of character—again part of the song's message. Having said that, I think the album does become a little monotonous and would be helped by a little more variation in timbre. Not all the songs are quite memorable, and Lorde's sullen voice does seem bland after a while. She might work on developing some different vocal characters. And at 17, she's got a lot of time for development. I'd also like to lift the publicity curtain and point out the man behind it—all the songs on Pure Heroine are co-written by Joel Little. Though twice the age of Lorde, Little is still young (early thirties), but he's got a lot a production experience in his native New Zealand. I think that he deserves a fair amount of credit in the production of a successful album. I wouldn't be surprised if, like the similar freshman album by then-teenage Avril Lavigne, Lorde wrote the majority of the words and needed help to fill out the music. To his credit, though, Little is happy to give Ella Yelich O'Connor the full front stage. It will be interesting to see if they remain a team for future projects. *I don't to to say that all former Mouseketeers aren't talented, just that they had a large industry machine working in their favor. Also, they don't usually take part in the creative part of the music-writing, just the performing part. This could have gone into the public domain this year, if Congress hadn't changed things back in 1976. January 1st was Public Domain Day, the day when works whose copyright term has expired move into the public domain. So, what went into the public domain this week? Anything? Besides Sherlock Holmes, not much. Because the 1976 copyright act and extensions (life + 70 years for individual owners, 95 for corporate copyrights), the next big date is January 1, 2019, when some works from 1923 finally make the transition, unless the Disney lobby convinces Congress to push those dates back. Again. What could have entered the public domain with the pre-1976 copyright law revision? Well, works from 1957, which are highlighted in this article from the Center for the Study of the Public Domain commemorating Public Domain Day. The site also remarks on the advantages of moving works to the public domain earlier. 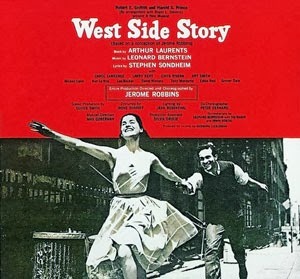 The musical “West Side Story” (music by Leonard Bernstein, lyrics by Stephen Sondheim, and book by Arthur Laurents) made its Broadway debut in 1957. Would “West Side Story” have been legal if Shakespeare’s Romeo and Juliet was under copyright at the time? Probably not. And, of course, if copyright existed in Shakespeare's time, as Judge Richard Posner observed, “Romeo and Juliet itself would have infringed Arthur Brooke’s The Tragicall Historye of Romeo and Juliet . . . which in turn would have infringed several earlier Romeo and Juliets, all of which probably would have infringed Ovid’s story of Pyramus and Thisbe.” Artists build upon the past. Creativity depends upon a healthy public domain. If you want to fight for more reasonable copyright limits, here's a blog post from Everybody's Libraries about what you can do. If you want a in-depth example of the problems of overprotection, check out this investigative audio report from On The Media about the famously and speciously copyrighted song "Happy Birthday." Yup, the song you know and sing all the time. What do you think about copyright? Is U.S. copyright law too protective, not protective enough, or just right? At some point in the future, I'm planning to write posts on related topics of copyrighting music, parody law, and fair use. If you want to hear about one of these first, comment below. Just in case you are wondering, though, a disclaimer: I'm not a lawyer.